I was lucky enough to be at the Cubs home opener yesterday and, man, was it beautiful. Perfect weather brought a fantastic, summer-like vibe around Wrigley Field. And even though the start to the Cubs’ season has been less than inspiring, there wasn’t a care in the world in Wrigleyville. 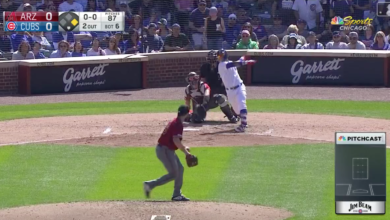 If you haven’t been paying attention, Cubs Productions has really stepped up their game lately, particularly with the re-launch of the Cubs YouTube channel as a segue to the coming Marquee Network. So of course they made a great video that did a stellar job of capturing the vibe in and around Wrigley on Monday, as the Cubs crushed the Pittsburgh Pirates in the home opener.